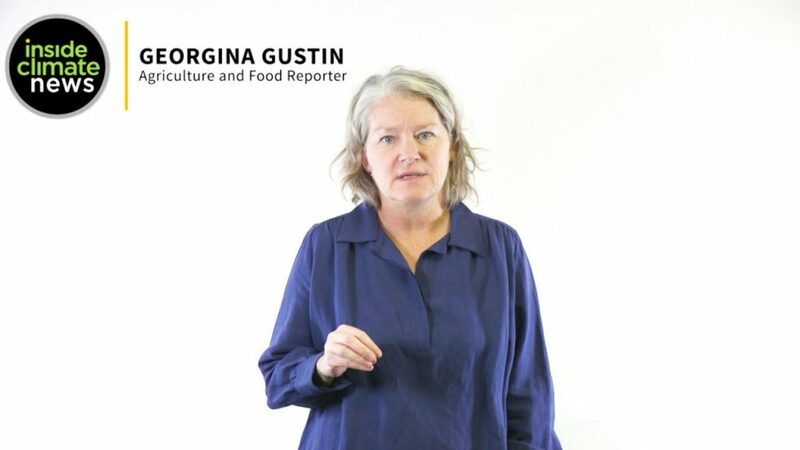 This is the finest bit of journalism I’ve encountered, that examines just how US, Big AG, Big Finance, Fossil Fuel Companies, the US Farm Bureau, and innumerable farmers, big and small, have joined together for years to deny climate change, promote damaging and unsustainable farming practices, cover our agriculture with toxics, subsidize utterly destructive practices. This article connects the dots and shows us just how desperately unprepared our agricultural producers are for climate change caused weather extremes. Inside Climate News. January 2019. 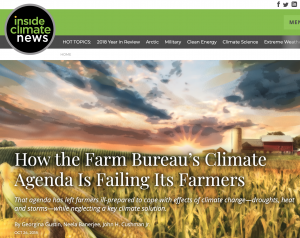 The first in a series on agriculture, climate change and the American Farm Bureau’s influence. Harvesting Peril: Extreme weather and climate change on the American farm. An ICN series.